From The Dallas Morning News, there's a review of Will Haywood's Showdown: Thurgood Marshall and the Supreme Court Nomination That Changed America (Knopf). The Grasping Hand: Kelo v. City of New London and the Limits of Eminent Domain by Ilya Simin (University of Chicago Press) is reviewed in The New Rambler. "As a committed libertarian and an up-and-coming scholar of property and constitutional law, Somin was ideally situated to serve both as the leading conservative academic commentator on the case and as a participant in the emerging backlash. Somin’s work on eminent domain has consistently straddled these two worlds of scholarship and property rights advocacy. He has written scores of blog posts on the issue. He has testified before the Senate Judiciary Committee, where he criticized then-Supreme Court nominee Sonia Sotomayor for her vote in a post-Kelo eminent domain case while she was a judge on the Second Circuit. But he has also written several well regarded law review articles on Kelo. 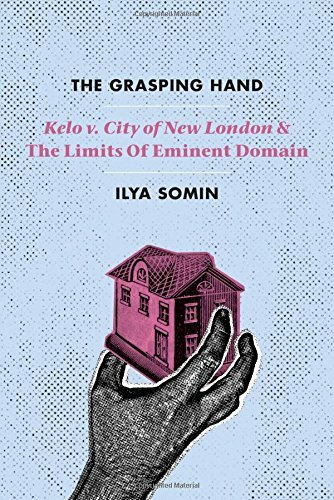 And now, in his new book, The Grasping Hand: Kelo v. New London & the Limits of Eminent Domain, Somin offers the most comprehensive review to date both of the case itself and of the various legal reforms the backlash against it has sparked. The book is something of a ten-year retrospective of Somin’s own intellectual engagement with the issue of eminent domain." Robert L. Benson's posthumous Law, Rulership, and Rhetoric: Selected Essays of Robert L. Benson (University of Notre Dame Press) is reviewed on H-Net. 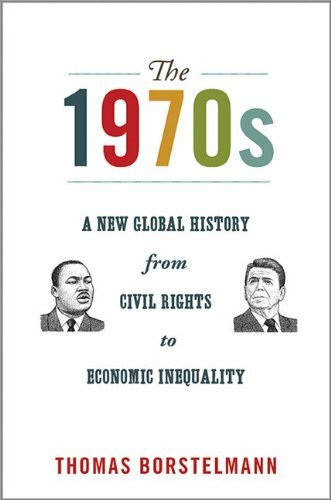 Thomas Borstelmann's 1970s: A New Global History from Civil Rights to Economic Inequality (Princeton University Press) is also reviewed on H-Net. 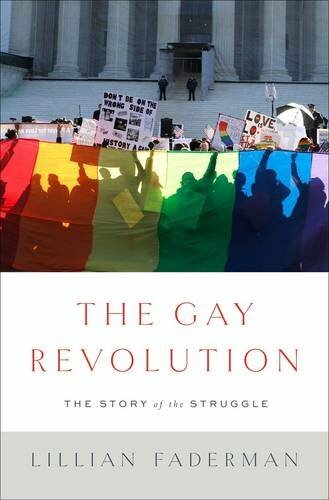 From The New York Times, a review of The Gay Revolution: The Story of the Struggle by Lillian Faderman (Simon & Schuster). "Yet Faderman’s book populates even the familiar corners of gay history with new and vivid life. Perhaps the most obvious contribution is the equal attention it gives to women. Faderman is often called a “lesbian historian,” based on her distinguished work in the field, notably “Surpassing the Love of Men” (1981) and “Odd Girls and Twilight Lovers” (1991). She brings the heft of a career to bear here — of the more than 150 interviews she draws on for this new book, some date back decades, like her 1987 interview with the lesbian pioneers Del Martin and Phyllis Lyon. An expert in lesbian history certainly has an advantage in writing a truly balanced account of the movement as a whole, given that such accounts have often heavily favored men." And, from The Federal Lawyer, there is a review of Michael Bryon's Submission and Subjection in Leviathan: Good Subjects in the Hobbesian Commonwealth (Palsgrave Macmillan).